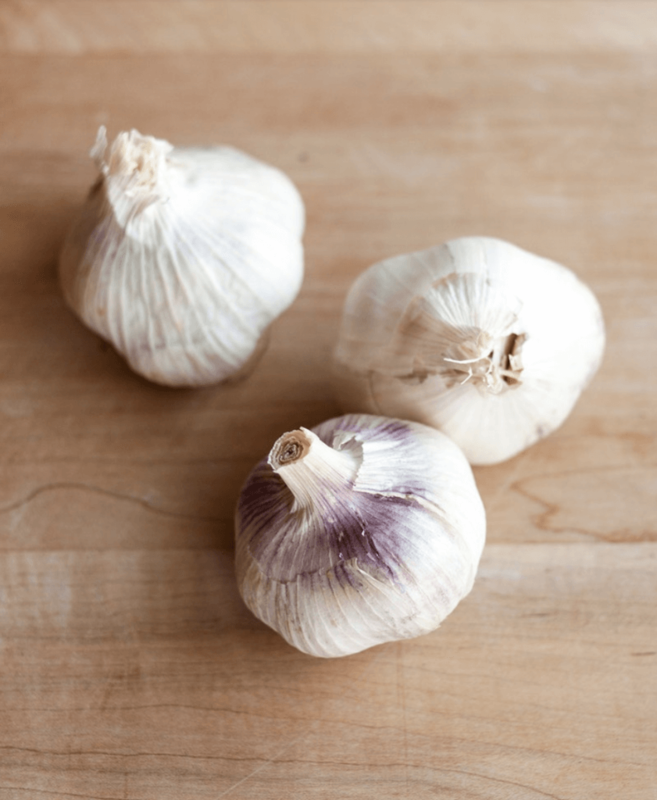 If you’re Italian, it’s in your blood to love garlic. Aglio, if you speak the language. The more, the better. In fact, when we cook at home, we often use double the amount of garlic called in a recipe. No shame in this cooking game. While most recipes use raw garlic, having roasted garlic on hand is an essential in the Italian kitchen. Roasting changes the chemical makeup of the garlic so that it’s easier to digest. This means you get to eat a lot more of it. It’s extremely versatile and so simple to make, so heat up that oven and get those bulbs ready. Peel just the papery outer layers of the garlic bulb, leaving the individual cloves intact. Using a sharp knife, cut ¼ to ½-inch from the top of the head to expose the individual cloves of garlic. Place the garlic head in a baking pan, cut side up. A muffin pan works well here too. Drizzle a high-quality Italian olive oil over the garlic, making sure to cover each head. Use your fingers to rub the olive oil all over the exposed cloves. Cover garlic with tin foil or wrap in its entirety, loosely folding tin foil at the top. Bake for 30-35 minutes or until cloves feel soft. Remove from oven and let garlic cool. Carefully cut the skin around each clove. Use your fingers to squeeze or pull out the roasted garlic cloves from skin. Sauté with greens: Swiss chard, broccoli rabe, etc. Love this idea! We definitely always have some on hand.